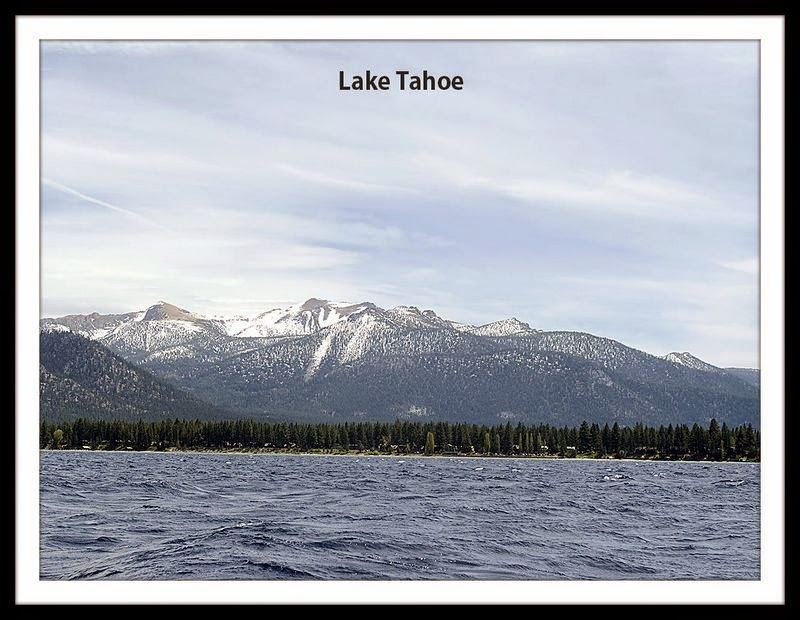 One of our friend suggested to visit Lake Tahoe which is 2 hour drive from Roseville, California. refreshes our eyes and mind. On the way to Lake Tahoe we stopped at different places for a beautiful photo shoot. The lake is surrounded by the beautiful mountain filled with pine trees. We smelt the fragrance of pine trees which was refreshing. In winter, mountains are completely covered by snow. We had been to this place during start of the summer, snow had almost melt, still the mountains looked beautiful. We planned to go in cruise to have a beautiful view of the lake and its surrounding. But the tickets were already booked and only tickets were available for night. We were little disappointed as we had to return home the same evening and won't have chance to go on cruise, even Gondola ride was closed for public till memorial day. Luckily we had option of hiring the speed boat with no option other than driving by us. Initially we were little hesitant and looking at each others face as we had no experience in driving speed boat. We were running short of time and took deep breath and decided to take a chance and go for it. We were given all the necessary instructions on how to go about to Emerald Bay and provided the map for reference. They assured it will be really good and easy to find the way back. Shallow water is one where one can have the beautiful view of rocks. The map has three different colour indication. deep blue - water level is deep - better to go faster than 15 mph. Before we started, crew member explained us how to operate the boat and in case of emergency what need to be done. When turned around and saw the lake, we were astonished. OMG, It looked like Sea. we could hear our heart sound lup tup lup tup... We then request crew member to be with us till the completion of the ride. He took permission from the office before he accepted to accompany us. Our super thrilling experience started when we were in middle of the lake. We took turn to drive the boat. But most of the time the crew member was the one who was driving as we had to return in an hour's time. To return within the specified time, he rode the boat at 30 mph. The cold splash of water hitting on our face enthused us. Wow! What a moment! Spotted Eagle falls from Emerald Bay. The different shades of blues, teals, turquoise, greens, and emerald colors in the lake were ravishing. 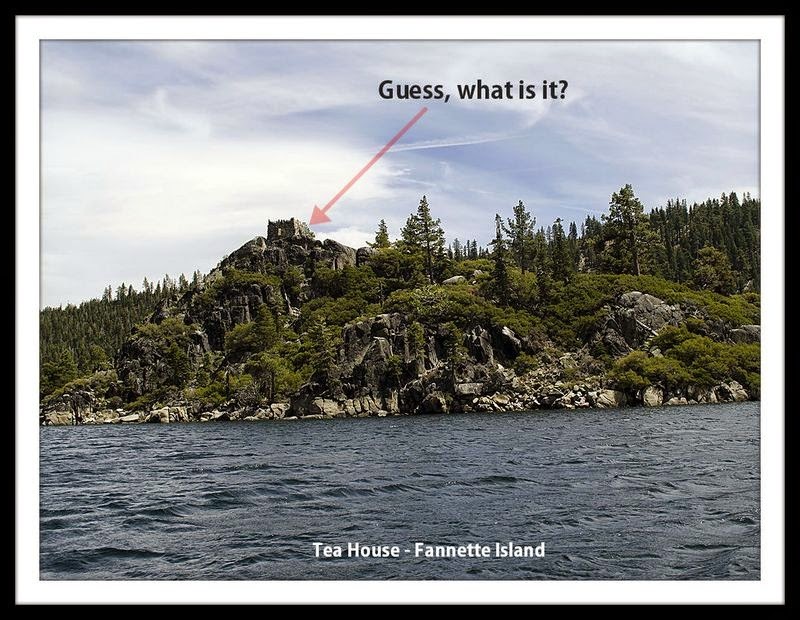 In Emerald bay lies a small island called Fannette Island with the tea house built on it. The stone structure on the island which resembles miniature castle is the "Tea House". This island is accessible only through boat, kayak or canoe. It is closed for public now. It is believed that the queen would travel to this island by boat to have a tea along with her guests. On the head of the Emerald Bay lies a castle by name Vikingsholm Castle. We couldn't believe our eyes that we were back on time. It was one of the thrilling experience we had in our life. Spent some time relaxing near the lake seeing the clear blue corals, the rumbling of the waves and the bubbling froth, all looked heavenly. If you are planning to visit the Lake Tahoe, better to book cruise on-line at least a day before so as not to get disappointed to find the tickets not available. Reference site http://www.zephyrcove.com/tahoequeen.aspx. Always have a jacket handy. Weather here may change suddenly. Do not forget to wear a comfy shoe if you are planning to do hiking at Emerald bay. 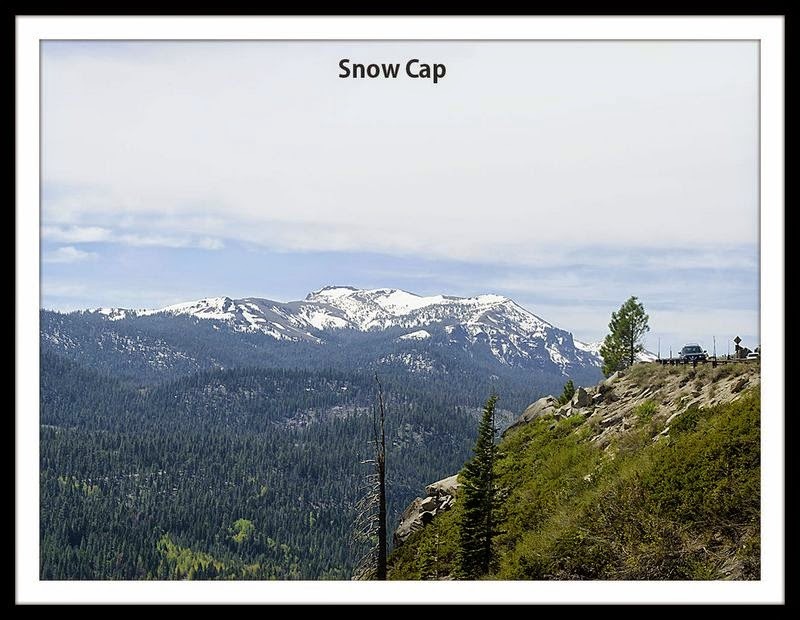 Start early to Lake Tahoe so that you can enjoy to the fullest extent possible. 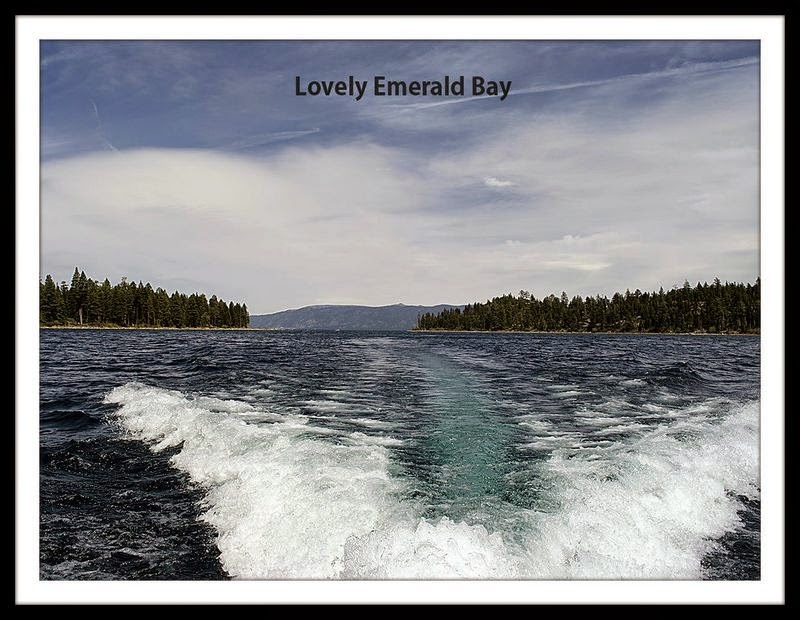 If you are planning to hire a boat and new to driving speed boat, it is not easy task to cover Emerald Bay within an hour. One has to drive at 25-30 mph and should have good knowledge of the direction. People in the front desk say that we can cover it in an hour. But it is only for the experienced people and not for novice. The speed boat may work out cheap if you are in group of 7 or 8 members. 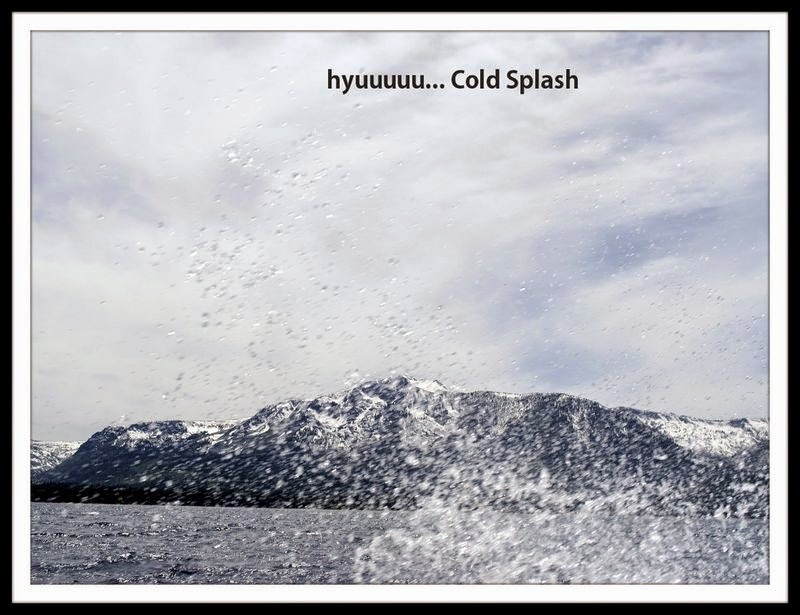 Cold Splash photo is really awsome !! What a perfect timing! !